Eckles Township is an approximately 34 square mile area immediately west of Bemidji, MN in southern Beltrami County. It is bounded by the Bemidji Regional Airport in the Southeast, Northern Township to the east, County Road 22 and Liberty Township on the North, Lammers Township on the West and Grant Valley Township on the south. US Highway 2 runs East/West through the lower part of the township toward Crookston and Duluth. CSAH 9 runs north/south through the eastern part of the township to CSAH 26. and State Highway 89 runs north/south through the western portion of the township to the Red Lake Nation. The City of Wilton exists in the southern portion of the Township. The Bemidji Theater, Pete’s Place West, Wells Technology, Dave Walters Homes, Frontier Homes and Knife River Materials are the primary businesses in the Township. Most are located along Hwy 2. 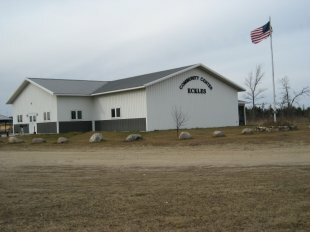 The newly formed and developing Beltrami Area Shooting Sports Range is also located in a forested area of the Township. Founded in the 1890’s as part of the railroad expansion in the US, it has grown from approximately 200 people to an estimated 1400 in the last 100 years. Originally relying on existing timber for lumber, the homesteaders gravitated to agriculture in the early 1900’s. By 1920, agriculture was the most important industry in the township. The poor soil and tough conditions soon forced many farmers to allow their homesteads to become tax forfeit and revert back to forest lands. The Conservation Corps began replanting forests and farming began to dwindle into what is now Eckles Township with most people in the Township working off the land on which they live, in or around Bemidji. The name Eckles derives from a reverse spelling of the name Selke. Selke was the original name of the railroad siding that is believed to be the present location of the City of Wilton. Various sawmills were located at different times in this general vicinity to take advantage of the railroad. Township Officials have had different responsibilities during the past 100 years but they have always retained the responsibility to maintain Township roads in winter and summer. That responsibility continues to expand in scope and complexity as individuals move from the city to live in the country and work or play in the City. The majority of the nearly fifty miles of Township maintained roads are seven ton gravel roads. Most major roads in the Township follow section lines and were located to get residents to and from their homesteads with timber or agricultural products. Road orders dating from the early 1900’s establish 66 foot wide rights-of-way along the lines. Most of these have been maintained in some fashion since that time. An extensive effort to record and recognize these roads into perpetuity was completed by Russ Gustafson in the 1990’s. Government officials also maintain the Township Cemetery located along Highway 89, conduct elections, control beaver, insure residents have fire protection, interact and respond to actions taken by Beltrami County. Town meetings are held the third Tuesday of each month at the Eckles Community Center, 9735 Cardinal Road NW. The budget and Township priorities are determined at the annual meeting held the 2nd Tuesday of March each year. Officials are elected at that time. Correspondence should be sent to the clerk at 11820 Coyote Rd NW, Bemidji, MN 56601. Eckles Township does not receive mail at the community center.